Improving Smiles In The Heart Of Maple. Wouldn’t it be great to sign up with a dental practice that can treat everyone from the children to the elderly relative who has come to live with the family? There are family dentists in the area who offer services suitable for patients of all ages. Instead of setting up accounts with several different practices, here are some of the perks the family will enjoy by choosing a dentist in Vaughan who can see everyone. Many adults are less than diligent about seeing their dentists in Vaughan. Sometimes it’s about working the appointments into an already crowded schedule. Other times, it’s about the slight apprehension that even adults feel about seeing a dentists. Imagine what it’s like for a child who feels wary of being sent to see a dental professional. The thing is that if you happen to be getting dental treatments at the same practice, your kids get to feel as if it’s a family thing. Since everyone is using the same set of family dentists at the same practice, there is more of a feeling that you are right there with them. That can make them more comfortable with the staff and the dentists who take care of them, since many of the same people are providing the best in Vaughan dentistry to you. A practical benefit is that all of the family’s dental records are kept by the same dentist in Vaughan, or at least within the confines of the same practice. Of course, you still want to teach the children how to keep their own records at home. The nice thing is if something happens to those records, copies can be obtained from the same family dentists without having to contact several practices and collect the data housed with each one. If different family members are patients of multiple practices, that can lead to some scheduling conflicts. There’s also the logistics of getting two family members to different practices on the same day. One way to keep things simple is to choose one practice that can provide Vaughan dentistry to all members of the family. Many family dentists are set up to schedule back to back appointments for multiple family members. You may find that it’s possible to take care of cleanings, exams, and other basics for two or three family members at the same practice and during a single afternoon. Why make something as simple as seeing a dentist more complicated? Find a dental practice that offers everything the family could want in terms of up to date Vaughan dentistry. Make sure that practice has dentists in Vaughan who are right for each member of the household. Set up first appointments and see how things go. 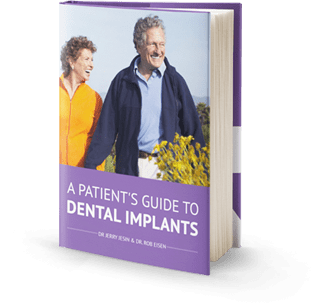 Assuming the family members seem happy with the efficiency of the staff, the way the dental team interacts with them, and the effectiveness of the treatments, there will be no need to look any further.